It's a stark fact that, according to the latest report from Symantec, one in 291 emails contained a virus in 2012. Cyber security has always been a challenge for small businesses in particular. With virus infections, and other malicious code attacks on the rise, choosing the right security software is now more vital than ever. 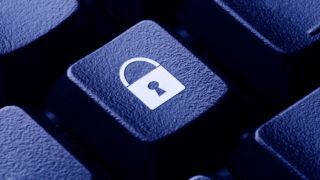 A white paper from security software firm GFI states: "Anti-virus can be part of the content filtering strategy which can be installed at the email and web gateway. "eMail accounts are frequently spammed with malicious email attachments. Leaving the decision to the user whether or not to trust an attachment received by email is never a good idea. "By blocking malware at the email gateway, you are greatly reducing the risk that end users may make a mistake and open an infected file." One of the main issues with small businesses in particular is a denial that a malicious code attack won't happen to them. Chester Wisniewski, Senior Security Advisor at online security specialist Sophos, says: "The biggest change with virus attacks has been that more advanced techniques that were specific to targeted attacks are now moving downstream. "Small businesses often think they are too small to target, but they are not. The sophistication of their adversaries is getting more advanced and every dollar is a dollar worth stealing." Vendors in the market for anti-virus software include Symantec, McAfee, Kaspersky, BitDefender and MicroTrend. To ensure that the ant-virus software that a business installs can offer high levels of protection, it's important to understand how these applications should be deployed to ensure they are effective. But the first port of call should be at the operating systems installed in a business's computers. Firewalls should be switched on, as should Windows Security Essentials (pre-Windows 8), or Windows Defender if you are using PCs running on Windows 8. Apple's latest operating system (OS X Lion) also contains a number of security features, including the built-in firewall, which should be activated. A 360 degree approach to security - This typically includes much more than simple anti-virus protection. Scanning of emails and their attachments plus other documents before opening can be performed automatically. The latest virus definitions - For any anti-virus application to be effective, it has to know about the latest threats. It is vital that the application a business chooses regularly updates its definitions. These are also known as signatures. Multi-user licences - Anti-virus software will need to be installed on all computers; so discounted multi-user licences are a must to keep costs as low as possible. Low footprint - In the past there was a performance compromise when anti-virus software was installed, as this runs in the background. Businesses should test this to ensure any mission critical systems are not crippled by constant virus scanning, or have lengthy boot up times due to initial virus scanning. It's relevant to the last point that a user survey by Software Security Systems found that 50% will switch off anti-virus scanning that compromises the performance of their PC. Although their frustration is understandable, this leaves their computers vulnerable to attack. Small businesses today are also likely to have a hybrid approach to their IT. Desktop and notebook PCs are just one component of a typical IT installation that now includes small business servers, mobile devices and the use of cloud-based applications. Anti-virus applications should be flexible enough to offer adequate protection in this kind of hybrid environment. 1.Are you looking for just anti-virus software, or a complete security suite? 2.How have the vendors been rated on independent testing services such as AV-Test, Virus Bulletin and ICSA? 3.Does the anti-virus application have features to protect a hybrid IT environment? 4.Has your business downloaded the trial versions of the application to test in your particular environment? 5.How will your business's security policies have to change or be updated to ensure the anti-virus application is effective? 6.Is it possible to disable the ability to switch off certain aspects of the anti-virus application to avoid users' computers becoming vulnerable? 7.Does the application offer a layered approach to anti-virus protection, in which initial contact with a suspected virus is quickly escalated before it has chance to damage any sensitive systems or data? 8.What is the overall footprint of the application? Some of your business's computers may need to be upgraded to ensure their performance isn't compromised after the anti-virus software is installed. Wisniewski advises: "Always look into solutions for the long term. New technologies may in fact be best, but more often than not they are more marketing than substance. "Another important factor is to choose something well rounded. Quality solutions recognise the limits of particular techniques and will use a combination to provide comprehensive protection. "Who is best or most innovative is interesting, but have they been able to reliably deliver the same protection over the course of three, five or even 10 years?"